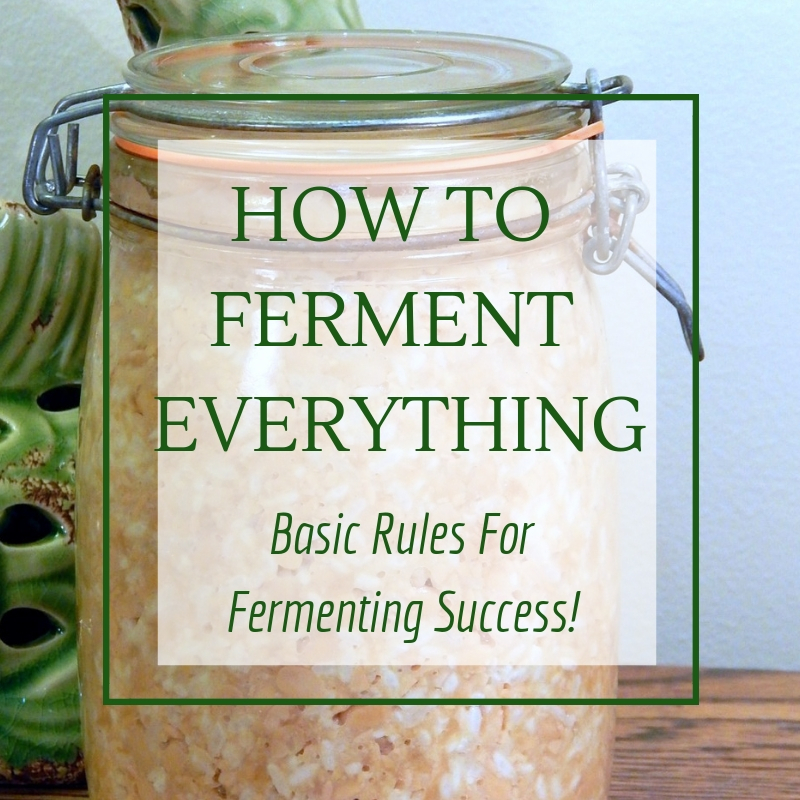 Learn how to ferment EVERYTHING and ANYTHING by following these basic fermentation rules. 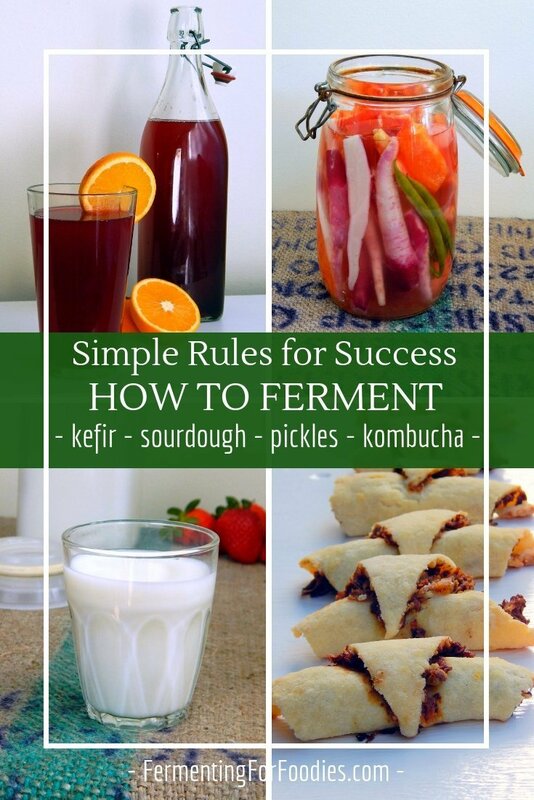 Whether you want to ferment vegetables, dairy, sourdough or beer, here is what you need to know for FERMENTATION SUCCESS! You need to keep everything as clean as possible to avoid contamination. 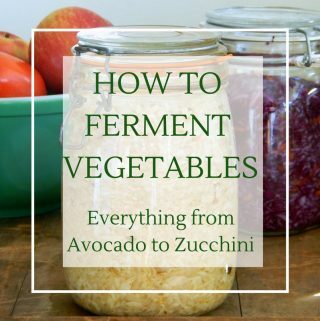 If you’re planing on keeping your ferments for long-term storage then this is even more important. Aim for sterile and you won’t fail. I’m the first to admit that I am far from sterile; so I’ve had to throw away sauerkraut, sourdough and kefir. And I once accidentally grew a mother on top of my yogurt (something that was not expected, I assure you). Learn from my mistakes and keep it clean. Fermenting at the right temperature is one of the main ways to keep the good bacteria in and the bad bacteria out. My recipes generally specify whether you want to ferment somewhere warm or somewhere cool. In general, grain likes to ferment at 21 C. So stash your sourdough and other grain ferments near your hot water heater or above the fridge. 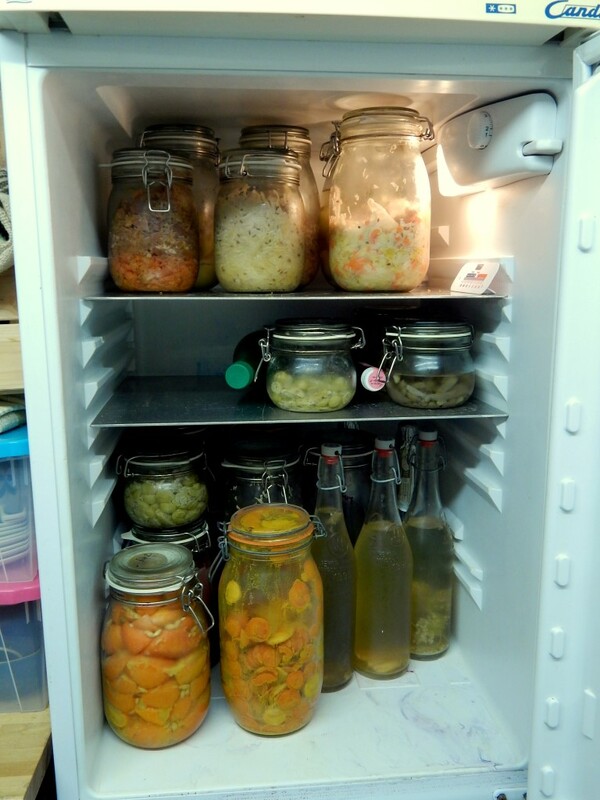 Vegetables like to ferment at 18 C. Garages and basements are perfect for vegetable ferments. If you’re an urbanite… then you can do what I do, and stash your vegetables in a cool-ish closet. Or you can invest in a fermentation fridge. It’s important to take into consideration seasonal variations in temperature. In the winter, you might need to culture your sourdough for a wee bit longer because of the cold. And in the summer you might need to only ferment your sauerkraut for a few days rather than weeks because of the heat. Once you’re done fermenting, always store your ferments somewhere cool. Traditionally this was a cellar or cold room, but I store my ferments in the refrigerator. Rule #1 cleanliness still applies during storage. So don’t double dip your pickle fork. If your ferment looks funny, smells funny or tastes off, then don’t eat it. Every ferment walks the line between the yummy yeasts and bacteria that we want to grow, and those that cause food poisoning. The goal of fermentation is to create an environment that favours a healthy culture. If a culture is thriving, then any invaders won’t be able to take hold. This generally involves keeping your fermentation at a particular temperature, keeping it anaerobic, and/or balancing the salinity and pH of the fermenting environment. , etc. Treat your culture like a pet (because they are alive and need to be loved). Take good care of your culture (regular feeding, exercise and attention) so that your culture will do a good job of keeping unwanted bugs out of your fermentation. You should even consider naming your culture, because if you do a good job of taking care of it, then it will become a family heirloom. Cultures can cross contaminate each other. So if you plan on keeping several different types of similar cultures (ie, yeast cultures, or lactic cultures), then either don’t have them out of the fridge at the same time, or if you do, ferment them in separate rooms. 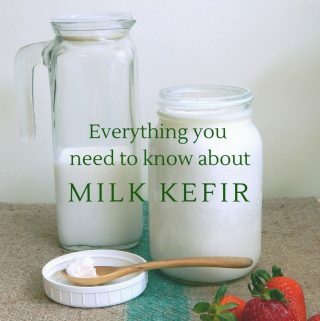 The reason why my yogurt grew a mother is because I had milk kefir sitting out on my counter at the same time. The kefir culture decided to colonize my pots of yogurt. The result, though edible, wasn’t exactly what I was looking for. Are you ready to get fermenting? Here are some of the wonderful foods that are made through fermentation! I have a recipe for an ancho pepper sauce (that is NOT fermented.) What steps do I need to take to them this recipe into a fermentable one? 1) PH below 4.6? 2) make sure it’s 1.5 % or higher salt? 3) add whey? 4) none of these? Help! Thanks!! Recipe: 1.5 oz dried ancho chiles, stemmed and seeded. 2c beef broth. 1 T minced canned chipotle Chile in adobo. 2T veg oil. 2 onions chopped. 6 cloves garlic. 1/4 c tomato paste. 1 t cumin. Salt. Jar and return it to the fridge (I live alone) So when I read your “do not double dip your pickle fork”, I thought I better not do that if I start to learn of fermenting. White frothy top on fruit OK you think? Again, it tastes good! If you used a cultured buttermilk, you probably have a nice healthy ferment. The white froth would be the bubbling buttermilk. Generally, fruit/milk combinations that have gone bad would either mold (so you would see mold) or become a yeasty-ferment (sparkling and alcoholic smelling.) If you stored your blender drink in the fridge and it seems fine, then it probably just fermented.